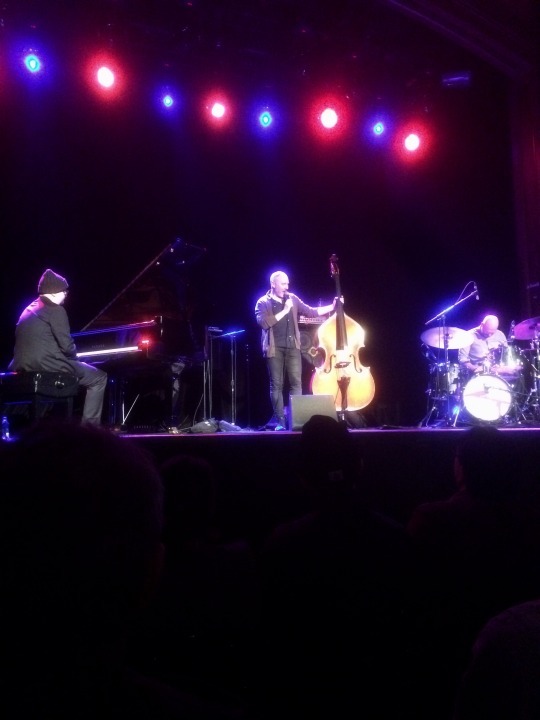 This past Thursday night I had the honor of seeing, The Bad Plus, at The Neptune Theater in what turned out to be an incredible performance. I have been a fan of The Neptune Theater ever since my first show there which was Snarky Puppy. I think the venue is an excellent size, and usually has pretty good sound as well. Upon arriving Thursday night, I was surprised to find seats on the floor right in front of the stage. This was my first concert at The Neptune that has been seated, but looking back on the performance it fit the atmosphere very well. Having no opener for them, The Bad Plus came out on stage and instantly started burning on a tune I didn’t recognize, and eventually morphed into a roaring chart titled “My Friend Metatron”. Instantly blown away, I knew the entire performance was going to contain the highest level of musicianship. It was after this tune that bassist Reid Anderson finally addressed the crowd. Showing a remarkably dry sense of humor throughout the performance, Anderson welcomed us all to the show and made everyone chuckle before the lads brought down the energy with a sensitive cover of “Time After Time” by Cyndi Lauper. As the tune progressed, The Bad Plus continued to expand our understanding of the song by adding dissonant harmonies and convoluting the pulse more and more. Following up the cover came an Ornette Coleman tune entitled “Law Years”. The juxtaposition of these two songs one right after the other perfectly highlighted that, The Bad Plus, are not only musicians that know what the crowd likes to hear, but are also heavy jazz players that love to venture off into the realm of free improvisation as they abandoned tonal center and traditional rhythm. The Ornette Coleman tune found The Bad Plus experimenting with textures and harsh timbres that any free jazz fanatic would have been impressed by. What followed for the next hour came an inspiring mix of both pop and heavy jazz tunes that shifted along the spectrum from the most “out” to the most “in”, inciting cheers and immense applause from the audience countless times. Over all, The Bad Plus demonstrated an ability to combine the familiar with the unknown, all the while remaining tasteful. 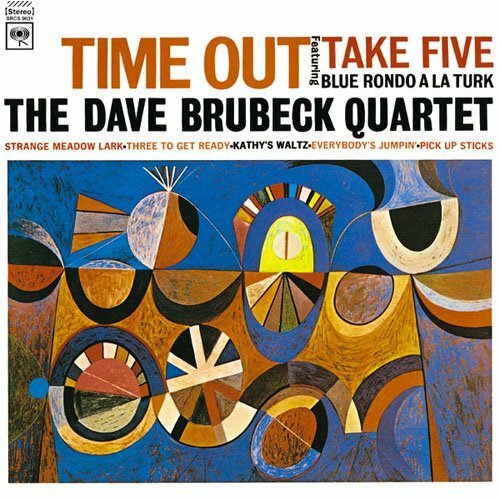 Not a single note or idea was played that the music didn’t call for, which showed that pianist Ethan Iverson, bassist Reid Anderson, and drummer David King poses an immense sense of maturity and trust in each other as musicians. 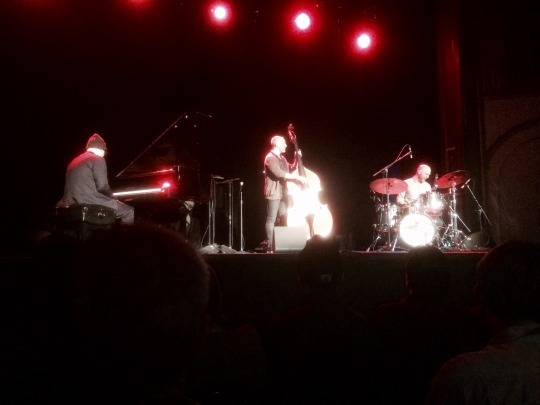 I would recommend seeing The Bad Plus to anyone who is a fan of music and can appreciate witnessing the experience and comfortability of three killin’ musicians who have spent the last 17 years shedding and making music together. 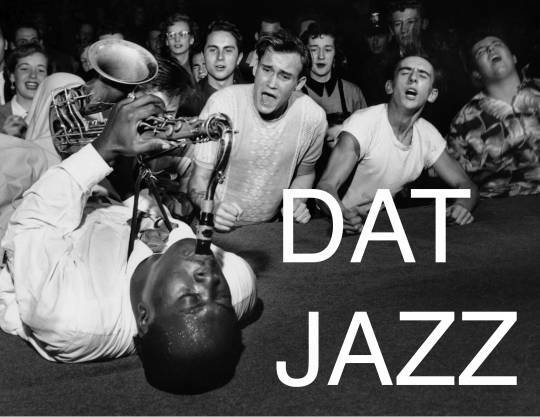 This Thursday, the 19th, The Bad Plus is performing at The Neptune Theater. I first heard about The Bad Plus from their collaboration with saxophonist Joshua Redman, which was equally exciting and experimental. Similarly, on their own, The Bad Plus refuses to be confined into any one genre or sound. Drawing most of their influence from jazz, The Bad Plus often venture off into genres of rock and pop, but do it in a way that feels comfortable and not gimmicky. Known for off-the-wall covers of various rock and pop tunes, seeing The Bad Plus perform live will be an adventure through the realms of free jazz and pop music alike. 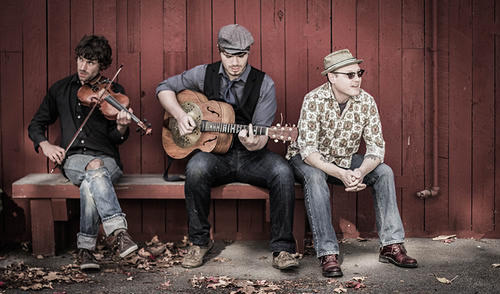 The trio consisting of bassist Reid Anderson, drummer David King, and pianist Ethan Iverson all met back in high school and have been making music together since 1990. Regardless of what set the band decides to bring to the audience on Thursday night, it will undoubtedly be one that reflects their forward-thinking mindset and 27 years of musical experience together. 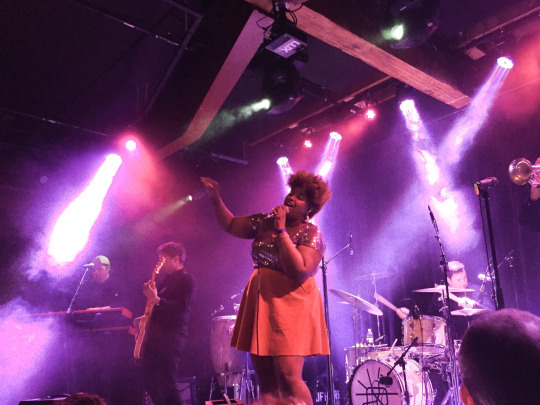 Last weekend, The Suffers performed live at The Crocodile. If you weren’t able to make it, here’s what you missed. 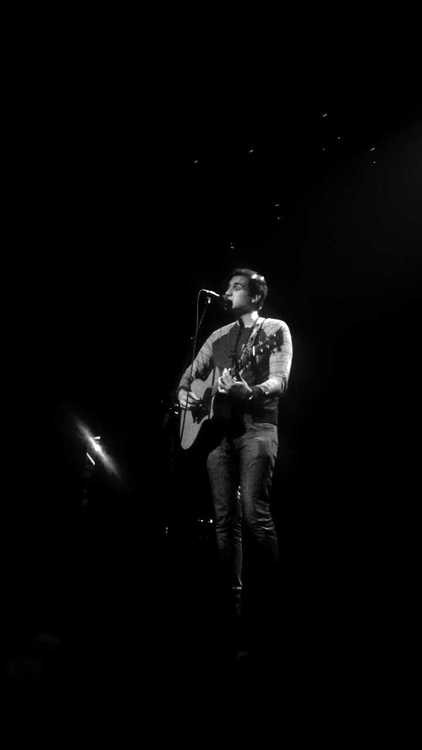 The show kicked off with two openers. The first was The Bandulus, an endearingly upbeat, Portland-based soul and reggae band. Right off the bat, the entire crowd danced and sang along. It was fabulous. The horn section of The Suffers even came out to join for a bit, demonstrating the closeness and camaraderie of the groups. The second opening act was Jakubi, an electronic/hip-hop/R&B outfit all the way from Melbourne, Australia. To be honest, these guys completely stole the show and were the highlight of the entire night. Laughing and pushing each other around, Jakubi was clearly having a good time. Lead vocalist Jerome Farah used a talk box to infuse some futuristic vibes alongside their funk and reggae sounds, and the result was an entirely different, raw energy that had the crowd more fired up than they would be all night. By the time The Suffers filed across stage, the entire room was packed. The band paused in the darkness for a moment, arms raised silently toward the ceiling. It was a powerful display of unity before the lights flashed on and they jumped straight into their set. As with both openers, The Suffers had the whole crowd immediately moving to the music. People around me were clapping and head-bobbing, beer sloshing out of their cups. Kam Franklin dominated the stage. “Presence” is the one word I would use to describe it. It was impossible to miss her strutting across, and I was blown away each time she unleashed her voice. In between songs, Kam stopped to casually chat with the audience. It really reinforced the already intimate feel of the venue. She spoke passionately about the importance of opening acts, praising both The Bandulus and Jakubi for their performances. After all, she said, The Suffers were once openers, too. Kam also called the theme of the night: chasing dreams. This upcoming January will mark the 2-year anniversary since The Suffers quit their day jobs to pursue music full-time. “Live the life you want to live”, urged Kam, “because being able to say you tried is the most wonderful thing.” She laughed, telling us that if we fail, we Seattleites have legal weed to comfort us. As the night wound down, this band wanted us to remember two things, if nothing else: their name and their hometown. And I must say, The Suffers from Houston, Texas will live in my memory for quite some time. Coming all the way from Houston, Texas, The Suffers will be performing live at The Crocodile this Saturday, November 12th, at 8:00 PM. Get excited, because these soulsters do it like no other. They call themselves a “Gulf Coast Soul” band, combining soul with reggae, South American, and jazz influences. The result is beautiful. It’s a seamless blend of genres that doesn’t fit in any one box. It also perfectly reflects the diversity of band, which includes a Latin percussionist, a classically trained saxophonist, a jazz drummer, and a gospel singer. 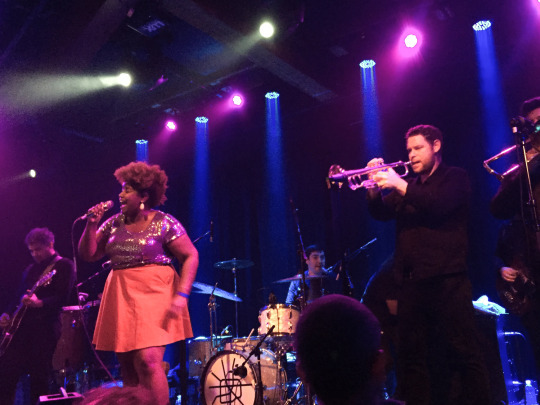 In their self-titled 2016 debut, The Suffers tastefully arrange each section of their 10-piece ensemble alongside the powerful vocals of Kam Franklin. Her captivating voice is so warm and rich, and I can’t wait to hear it fill the room this weekend. For first-time listeners, I recommend “Giver” (below). Other notable tracks include “Make Some Room” and “Gwan”, which was performed on The Late Show with David Letterman. Even if soul isn’t your thing, I hope you all can “Make Some Room” in your busy schedules to enjoy these fabulously soulful Texans. It’s going to be a good time. EP Review: Marty O’Reilly & The Old Soul Orchestra – Preach ‘Em Now! about to face death. Which is interesting, given it’s actually a worship song. of the violin and the guitar, delighting the ears. listener, alternating the mood of the song throughout. opening track, are my favorites from the EP. receive. Give ‘em a listen. “Cold eats the flesh of broken hearts / tender the strike of tinder gods. Embers across a rayless sky / still warm my soul, I often cry. …Kind of awesome imagery, right? my top 25. 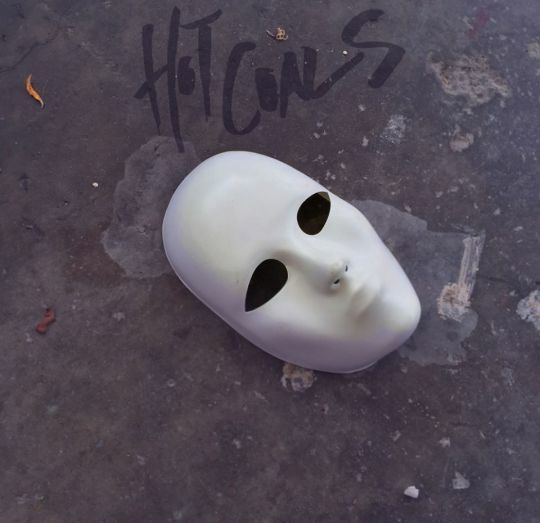 And “Hot Coals” easily entered those ranks on my first listen. listener deeper into this vivid arena of aural stimulation. ever go into a coma, play this trumpet solo to revive me. 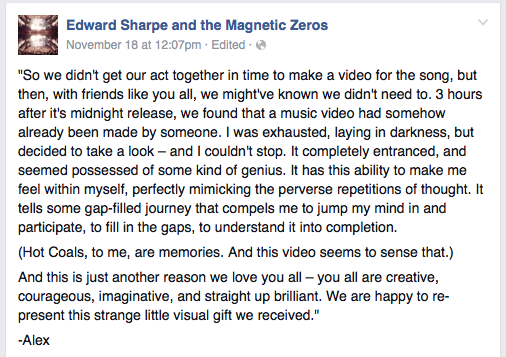 fantastic growth for Edward Sharpe and the Magnetic Zeros. Ten’s company: The band’s current members are Alex Ebert, Nico Aglietti, Stewart Cole, Josh Collazo, Seth Ford-Young, Christian Letts, Orpheo McCord, Mark Noseworthy, Crash Richard and Mitchell Yoshida. is a collection of nostalgias lovingly spun together into a song for the ages. that has left me eager to see what flames they’ll kindle next. Alex EgertEdward SharpeEdward Sharpe and the Magnetic ZerosfolkHot CoalsJade Castrinosjazzrainy dawgrainy dawg radiorockSiberian BreaksSingleTouchTRUMPETWIRE BRUSHES!!! Butterfly, but now I’m obsessed. Thank you based Kendrick. 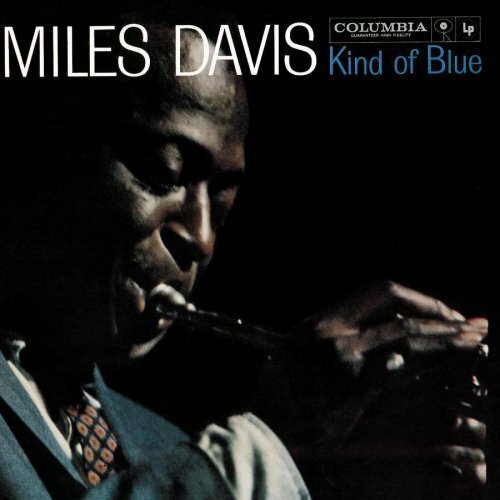 seven pieces on this album each elegantly swell to their euphoric peaks. 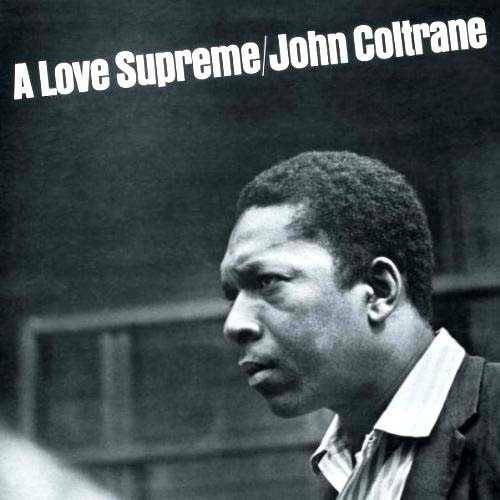 John Coltrane, plays the tenor saxophone on this album. heard anything on this album yet, get with the program. Annnddddddd we’re back. I’m sorry for such a long sabbatical but I was just researching music. So who wants to talk about French deep house? Gonna be honest, I’m SO NOT an expert on house music, but because deep house has elements of soul and 1980s jazz-funk and this specific musician uses a lot of piano and saxophone, I’m going to say that I somewhat know what I’m talking about. A French duo composed of musicians Cédric Steinmyller and Edgar Catry, these guys don’t give the vibe of what you think of when you think of house music: electronic, boring, repetitive. 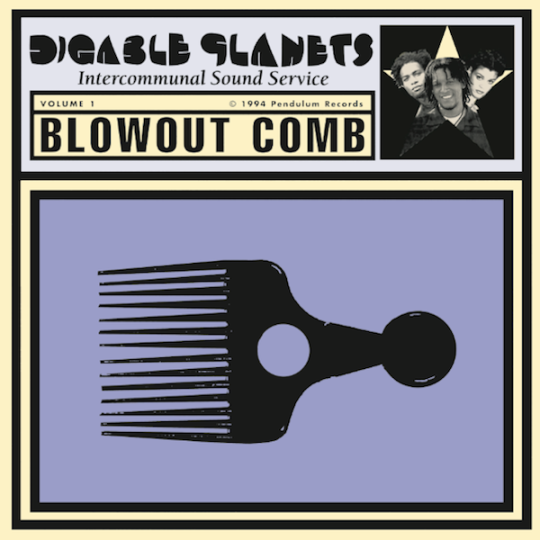 They dig honest sound, and true jazz, funk, and soul. With three solid singles out, deubting in in 2013, these guys are beautiful in their sound. There are house beats, but there are also funky basslines, eclectic vocal samples, excellent percussion and hypnotic, just straight-jamming grooves of saxophone solos that distinguish Klingande’s sound. The two boys themselves label their music as “melodic sound,” and for sure they have this vibe of sunny beaches and the strange juxtaposition of classy, classy saxophone jazz and more modern dance pop. I mean, take a listen to “Jubel.” You’ve got these straight up dope saxophone melodies (thank you fantastic Mr. Snake Davis) running throughout the entire track of lovely Lucie Decarne’s vocals. Reaching number one on the charts in Austria, Belgium, the Czech Republic, Germany, Italy, Luxembourg, Poland, Portugal, Slovakia and Switzerland, this track also hit #3 on the UK Singles chart. We start out slow with bongo-drums and light layering of keys, yeah? Then a bassline melody, still good, right? Then a build up to the vocals, and you’re like, “Hmm, pretty good.” But then we hit the sax, and you’ve got to just stop and smile. And then look at his first single ever released, “Punga.” The vocals are phenomenal combined with the saxophone layered on piano. And to be honest, the sax on this track is better than the sax on Jubel, but the standard of excellence here is just so high that either way, any of Klingande’s tracks are going to exceed any of our expectation for musical innovation. 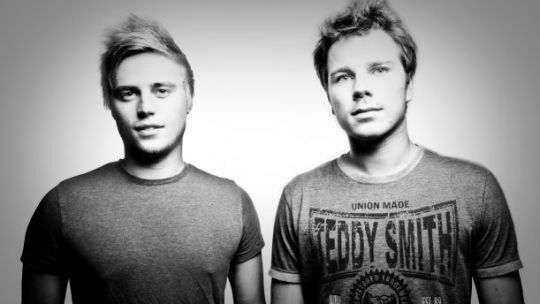 If you like Avicii, if you like Bakermat, if you like saxophone, if you like grooves, please. Do yourself a favor. Check out his Soundcloud here, trust me, he’s worth your time. 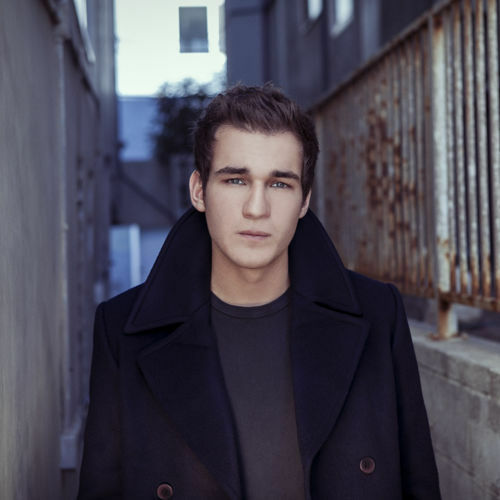 And sweet deal because if you fall in love enough, go and check out his show at The Crocodile on May 20th. You can bet I’m gonna be there. It’s been rough lately, and honestly I should be writing a paper, but I’d rather write about music, so let’s just procrastinate together. I’ve fallen in love, recently. It’s that time of year, you know? And I realize that I fall in love quite often, I’m a romantic, but this guy is worth it, I’m telling you. As I write this, I literally can feel myself become giddy,it’s almost unreal. It’s crazy. Is this how love feels? he’s a pretty rad guy. could write, but I was basing his vocal ability off his Beatles covers. So I knew this kid has talent. talk about, and I expertly assume they will be on his debut album. my stomach. Then bam, xylophone, and the world just stops. and he knows it well. couple months ago is just a game changer. forms on my face. Is this what love feels like? to review thus far, and I love a lot of musicians. But anyone, one more, let’s talk. roots, but he still rocks it, like usual. so he’s had plenty of practice. understandable. We all mature as artists. take you away, and he does, successfully. 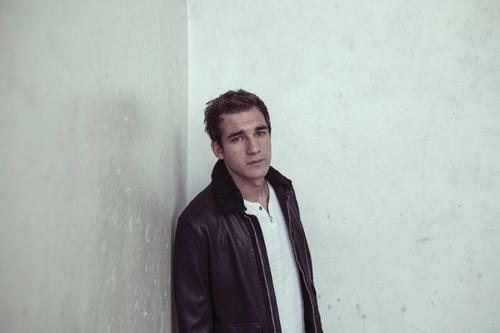 By the way, please, please, check out all his music on his soundcloud here! about to be released mighty soon, it’s only a matter of time.